In 1766, Lorenz Kuhn, a shoemaker from Hettersroth, Birstein, Germany, and his wife Anna Margaretha, accepted the offer described in Catherine's Manifesto. The couple sailed with other colonists from the north German port of Lübeck aboard the Russian ship “Strel 'Na” and arrived in Oranienbaum, Russia on August 9, 1766. Many families aboard this ship settled in Norka one-year later. The transport list indicates that Anna Margaretha died during the journey to the settlement area on the lower Volga River. Lorenz married again to Gertrude (née Kessel). Gertrude was the recent widow of Christoph Weitzel from Bönstadt. Gertrude and Christoph had married in Büdingen on May 24, 1766 shortly before departing for Russia. Gertrude was born in Leÿdecken (Leidhecken). Christoph and Gertrude arrived in Oranienbaum aboard the ship "Apollo" on August 29, 1766. The couple is recorded in the transport list and they are traveling with Jacob and Anna Maria Weitzel, and Christian and Susanna Weitzel. Christoph died before the group arrived in Norka. Lorenz and Gertrude were among the founders who arrived in Norka on August 26, 1767 and are recorded there on the 1767 Census as Household No. 178. 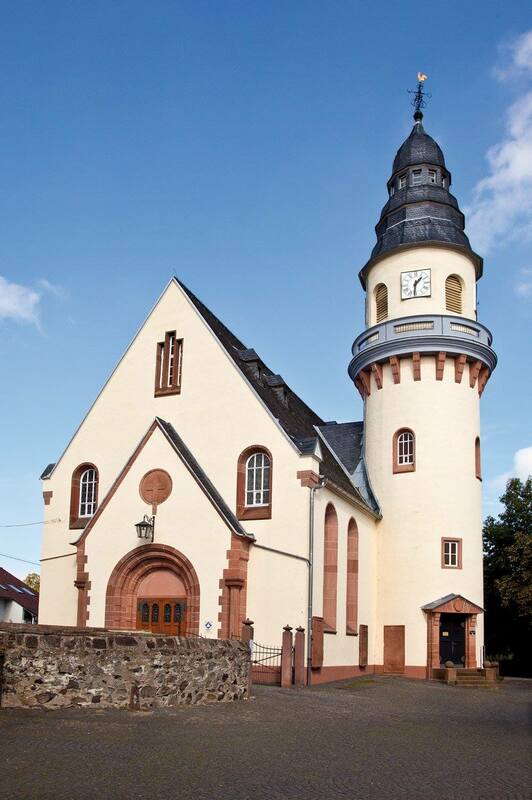 Evangelische Church in Birstein, built in 1701. Source: 2011 photo by A Walther. Baumung, Alexander. Kuhn family research in the Würzburg archives and sources listed below. Parish records for Bönstadt (LDS International Film # 1195346).